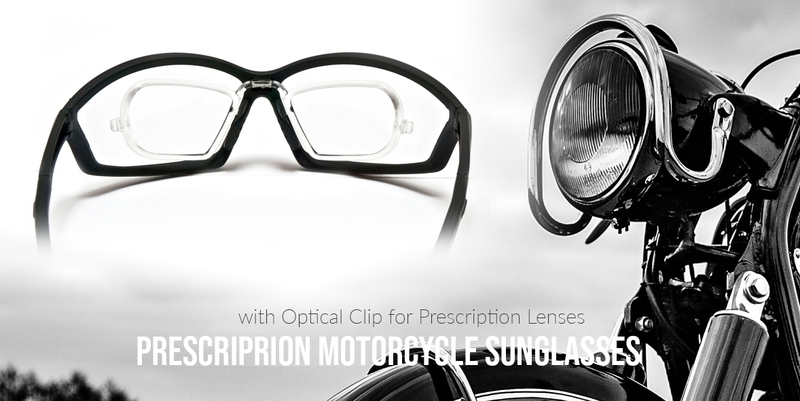 Occhialimoto.com is the Shop dedicated to the online distribution of the wellknown motorcycle goggles and sunglasses collection by BERTONI. 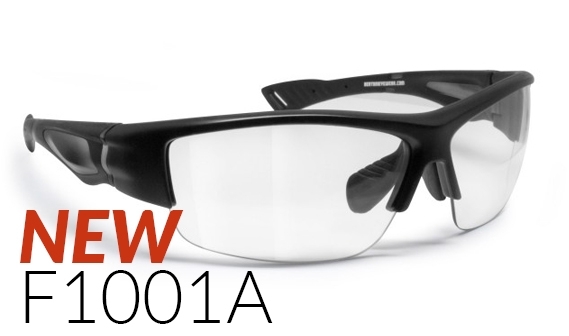 Bertoni iWear is a well known italian brand of sport sunglasses coming from a thirty-year experience in the sport–optic market of his technicians. 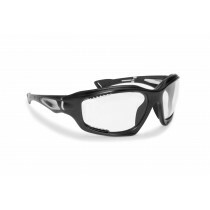 The Motorcycle Sunglasses and Goggles by Bertoni are well appreciated in every sport because they have a comfortable and well fitting design plus the latest technical discoveries for the lenses and materials. 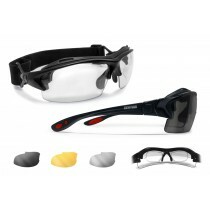 The wide range of models have been developed to suit all types of sports: motorbike sunglasses, cycling, car racing, parachuting, fishing, water sports, skiing, golf, beach volley, horse riding, tennis, shooting and many others. 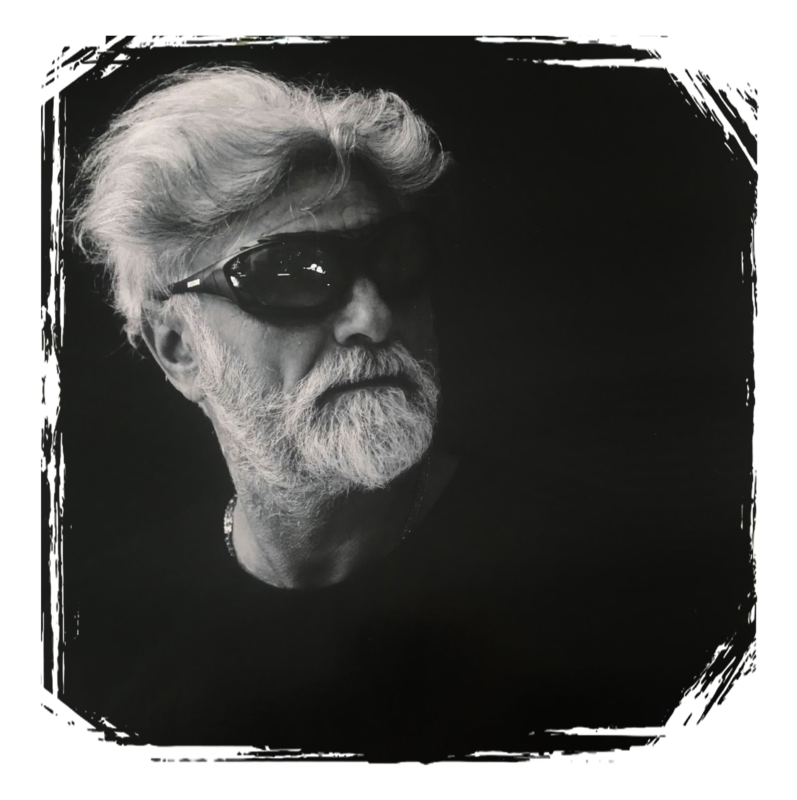 The Bertoni sunglasses are made respecting the CE and FDA regulations with a strict quality control in particular when choosing the best lenses and materials. 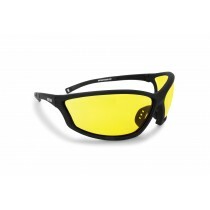 On our site, occhialimoto.com, you can find the full Bertoni complete range with the best motorcycle goggles. 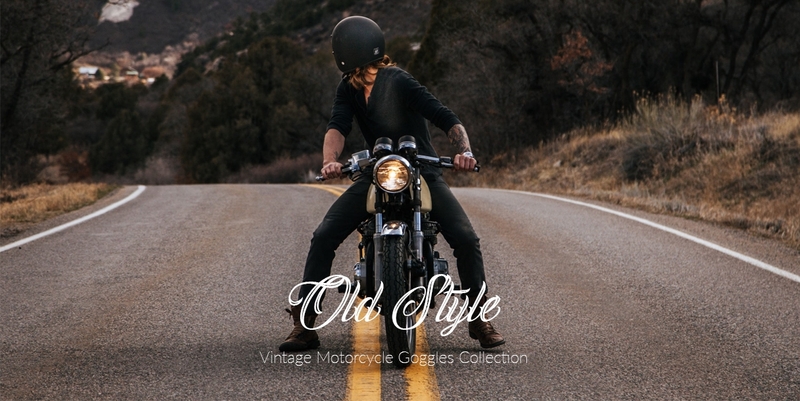 Bertoni, well-know Italian manufacturer of motorcycles goggles since over 25 years, is proud to introduce the collection of aviator vintage motorcycle goggles. 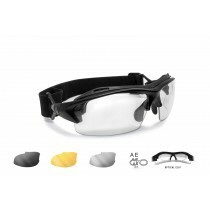 All the motorcycle goggles have anti-fog lenses treated with a special resin able to disperse the condensation that could form in the passage between the heat and the cold. 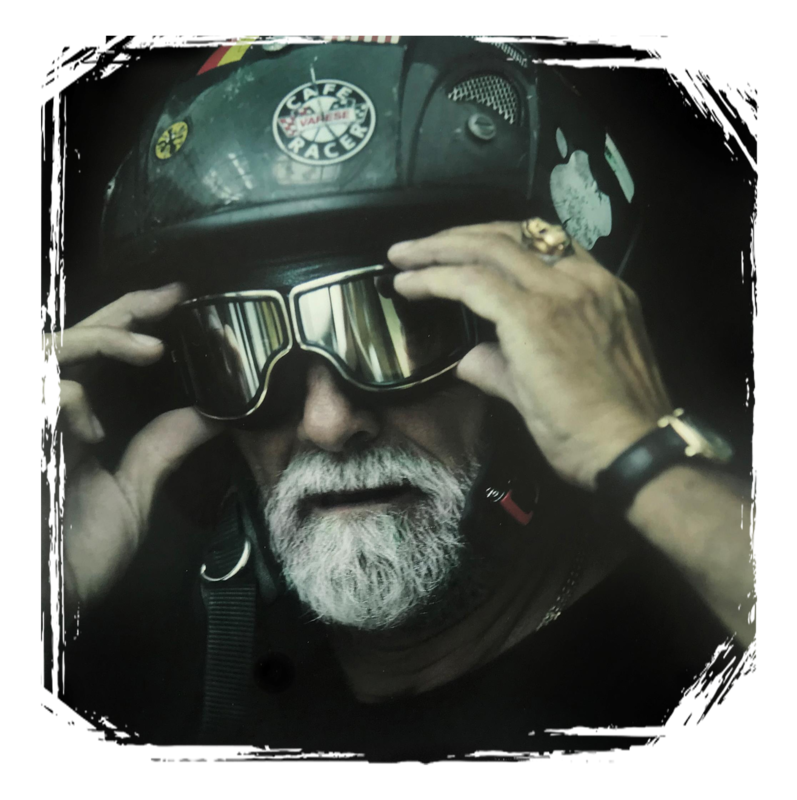 The Bertoni motorcycle masks are easily adaptable to any Jet helmet on the market, thanks to the adjustable elastic and the shape of the front that guaranteed a perfect adherence to the face. 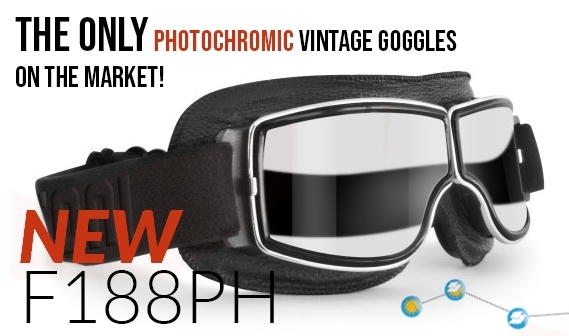 Elegance, design and attention to detail blend with the highest safety standards to create a wide range of motorcycle goggles for Harley lovers, Custom bikes and Café Race. 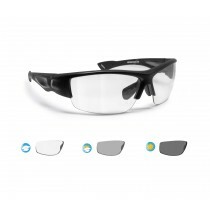 Photochromic motorcycle sunglasses and goggles with antifog lenses that change colour intensity automatically depending on the brightness and UV light, guaranteeing an excellent visual performance. 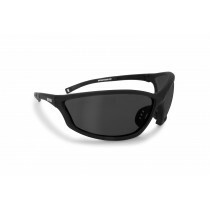 The photochromic lens protects the eyes when out in the sun or in any weather condition. 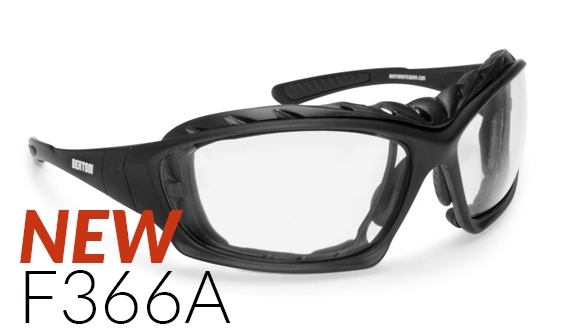 Plus the lens is treated with a special resin which removes the condensation which forms on the surface of the lens when passing from hot to cold. 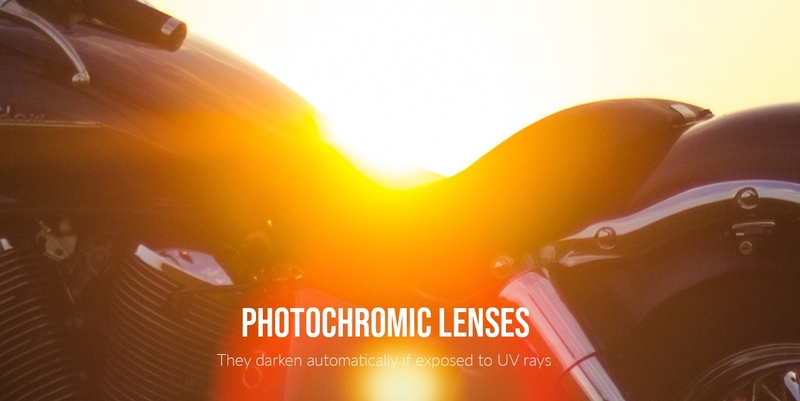 The sunsensor lens can change colour in only 8 seconds when passing from light to dark, and 35 seconds when passing from dark back to its light colour. The collection also includes some models with polarized photochromic lenses that combine the practicality of the photochromic lens with the anti-reflective properties of the polarizing lens. 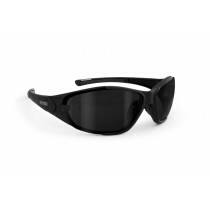 We have a customer care team ready to answer all your questions.